Debuting less than a year, Wanna One has proven themselves as one of the top KPOP boy bands with their outstanding achievements in Korea and overseas, and their popularity is undoubtedly at its peak now. Following the announcement of their World Tour, fans all over the world has waited eagerly for more information on the show. Wanna One World Tour "ONE: THE WORLD" will kick off in Seoul from 1st to 3rd June. 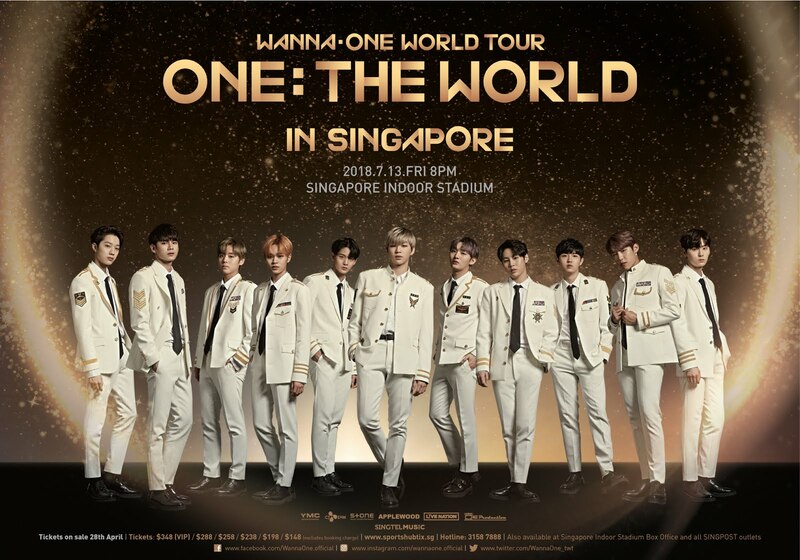 The 11-member group is confirmed to make a stop in Singapore on 13 July at the Singapore Indoor Stadium. As this mark Wanna One’s first full-scale concert in Singapore, fans can be sure to look forward to a night of spectacular production that includes a stunning stage set-up, fantastic visual effects and stellar sound system. Tickets to Wanna One World Tour "ONE: THE WORLD" in Singapore will go on sale from 28 April, 12PM via Sports Hub Tix ticketing channels. 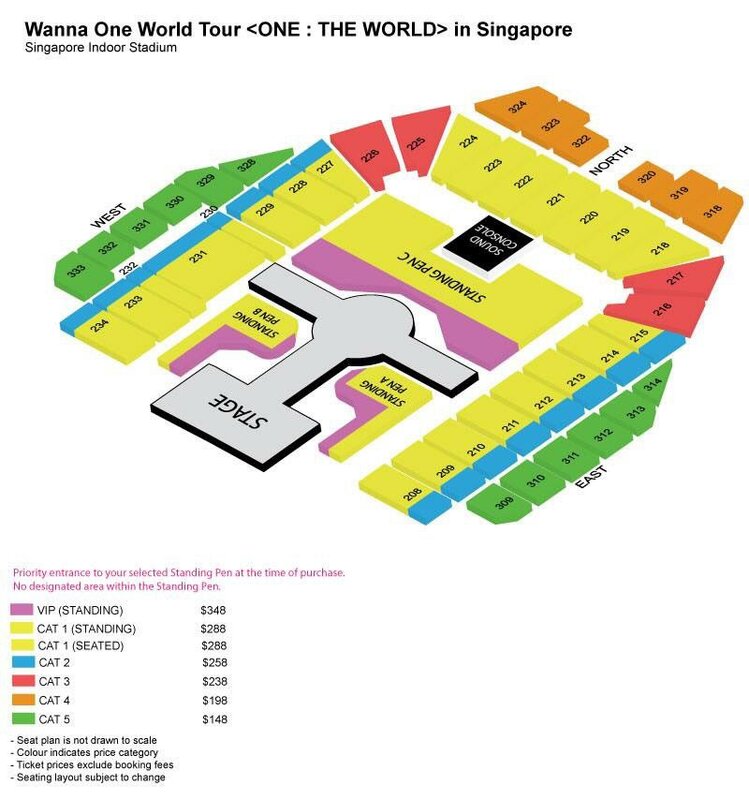 Tickets also available at Singapore Indoor Stadium Box Office and all Singpost outlets .Singtel mobile customers can enjoy priority sales from 27 April 10AM to 11:59PM. Additionally, all Cat 1 ticket holders will be entitled to a lucky draw chance to join in a special “Wanna One send off event”. More details will be released at a later date, stay tuned to ONE Production Facebook page for more information.